in which  Baptisms, Marriages, Deaths begin in the church concerned. so as to complete this listing and to be as accurate as possible. If any church records are put on line by us, then they will be accessible  from the Church Records link. 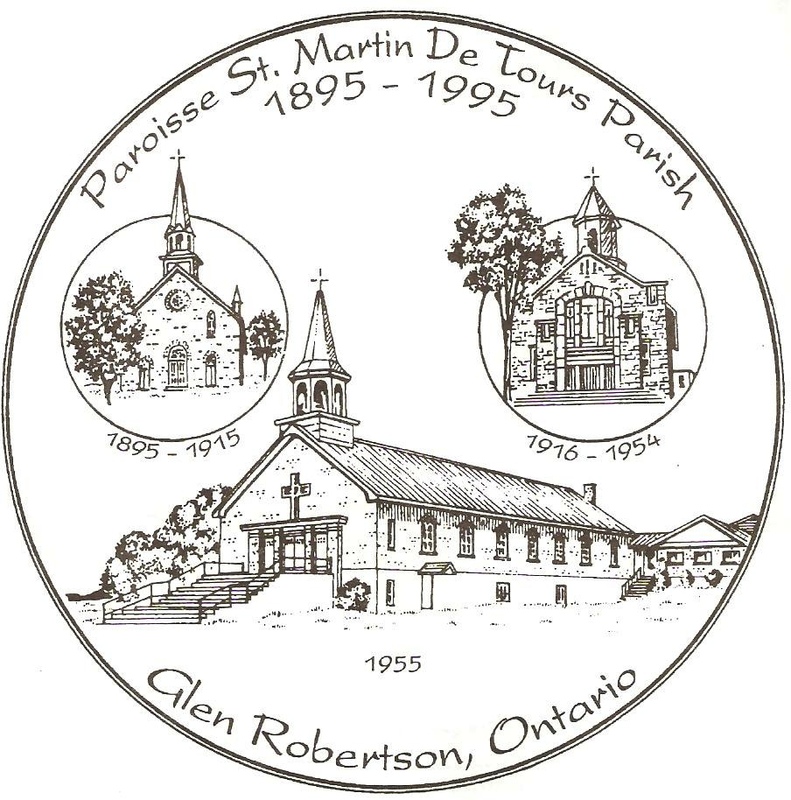 of the Churches of Glengarry & Stormont Counties. 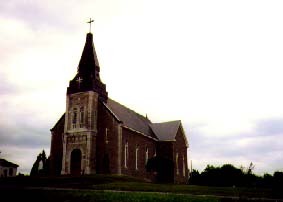 Mass times  Alexandria-Cornwall Diocese Parish Index with addresses, time of Masses, etc. probably by Appointment only, I believe. Located at the corner of Bishop and St. Paul Street. and continue to the present. Located at the corner of Main Street and Lochiel Street at lights. 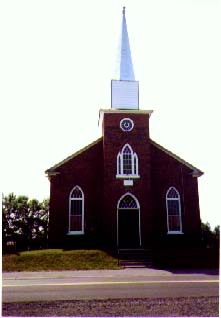 Church on the Hill is part of the Glen garry East Pastoral Charge that includes St Andrew's The Rlund Church Dalhoiusie Mills, Glen Sandfield and Easst Hawkesbury. 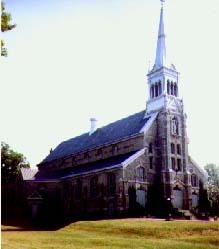 St. Andrews United Church  Also known as the 2nd Concession Church. Located at 21102  2nd Concession, Lancaster township. 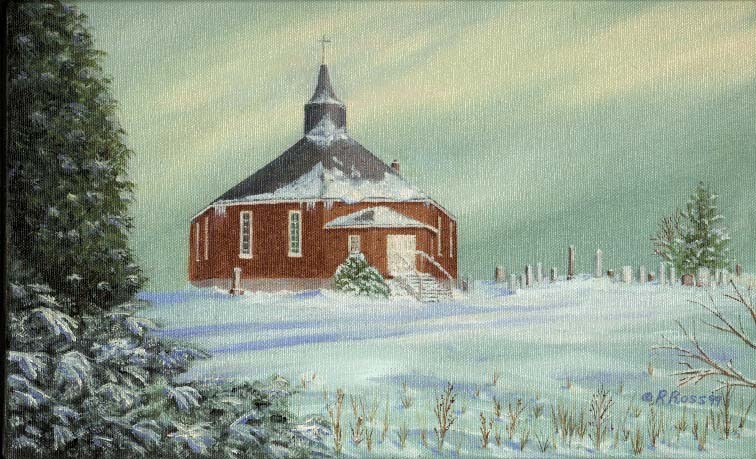 Winter scene of church painted by Rhoda Ross, Nov. 1998. Baptisms start 1833 and continue to the present with some gaps. Marriages start in 1834 and continue to the present with some gaps. Deaths start in 1854 and continue to the present with some gaps. 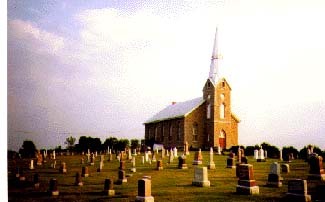 left go about 1/4 mile or so an don right you will see Brodie church & cemetery. just north of the 401. Priest under St Joseph's Lancaster. Curry Hill Church now closed. of Scotland Church,  Glen Nevis and St. Marys,  Williamstown. 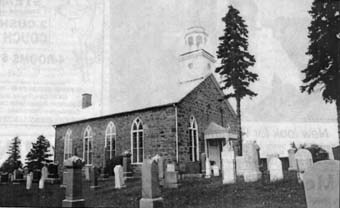 After 1904 they would be at St. Joseph's, Lancaster. was taken down between 1945 - 1950. 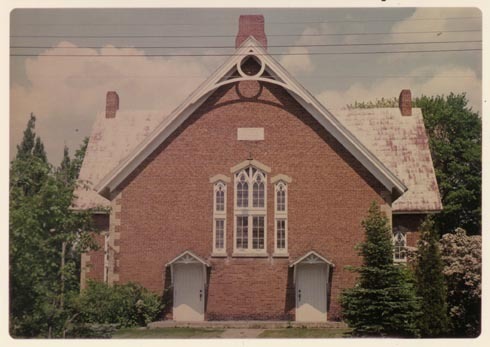 Are part of the Church Records of the St. Andrews united Church, 2nd Concession of Lancaster township. Lancaster, west side of County Road 23 and north of River Delisle. 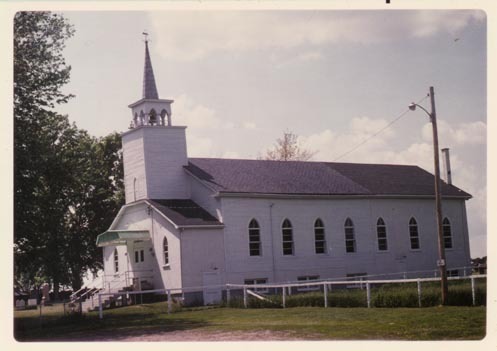 in the late 1940's  and continue in some form until the present until church was closed. 7th concession of Lochiel north side of road. 7th concession of Lochiel south side of road. 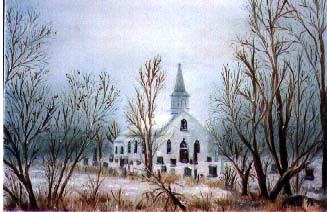 It was located of South Terrace Street, but This Church no longer exists. Church Records, Baptisms, Marriages, have been published by us for the period 1878-1903. If other records exist for this church I am not aware of it. for Marriages and Deaths and go till church ws closed. is opposite the former tourist bureau on the 401 highway. 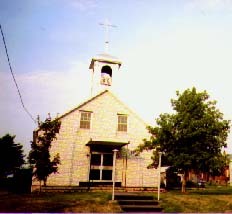 Church Records,start about 1898 and continue to the present with some gaps. in Cornwall, Ontario, which is now closed. 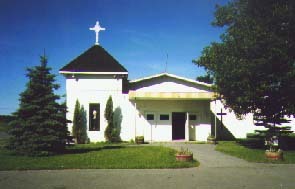 St. Michael and All Angels of Maxville, Ontario. 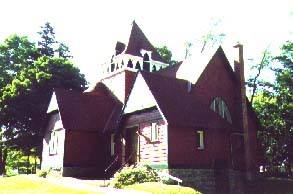 Baptisms start in 1898 and continue to the present. Marriages start in 1900 and continue to the present. Deaths start in 1899 and continue to the present. Located at corner of Maple at Beech Street. Baptisms start in 1904 and continue to the present. Marriages start in 1904 and continue to the present. Deaths start in 1904 and continue to the present. 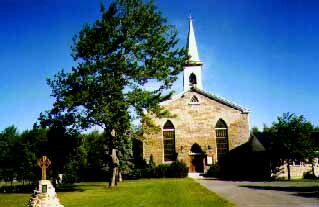 Located on the 5th concession of Lochiel township. 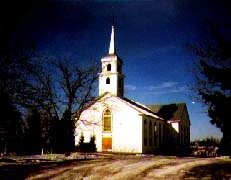 1999 a mission of St. Finnans in Alexandria. church records of this church, but am going on what I have been told. 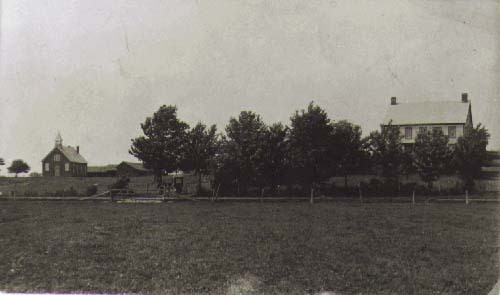 This photo of St. Raphaels Church is circa early 1900's. 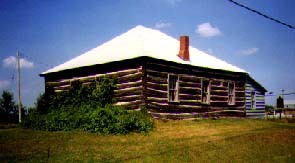 Photo is taken from the North East side looking South East. From our file copy & is copyrighted by Alex W. Fraser. Located on Church Street at Calvin. Church Records, for Baptisms, marriages and Deaths start about 1927 and continue to the present. 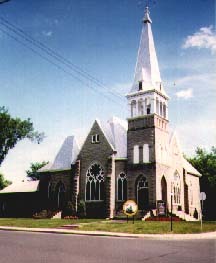 The Presbyterian Church in Canada which includes the PRESBYTERY OF SEAWAY-GLENGARRY. continue with some gaps to the present. 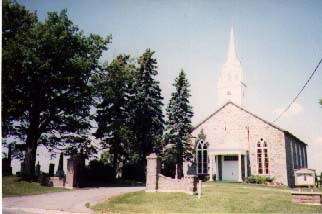 of St. Andrew's Presbyterian Church in Martintown, Ontario. 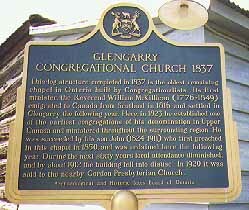 Some HistoryLocated at the corner of County Road #19 and Mary Street. Click image for some history. 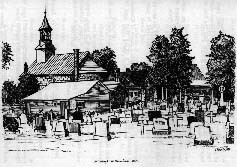 a sketch done by Robin Wall  for gravestones of Glengarry Volume 1, in the mid 1970's.